664 trees recorded including Oak, Rowan and Ash. The oaks in the above picture are not pollards but wind-sheared oaks on upper slopes close to the moorland in what I have interpreted as oak coppice woodland. In the valley bottoms are oak standards in former hazel coppice woods. I have not been able to find genuine oak pollards in Horner Wood, but perhaps I missed a few? Despite claims to the contrary, Horner Wood is not ancient pasture woodland (or ‘wood pasture’ the incorrect translation of Domesday Book’s “silva pastilis”). It was intensively managed woodland. 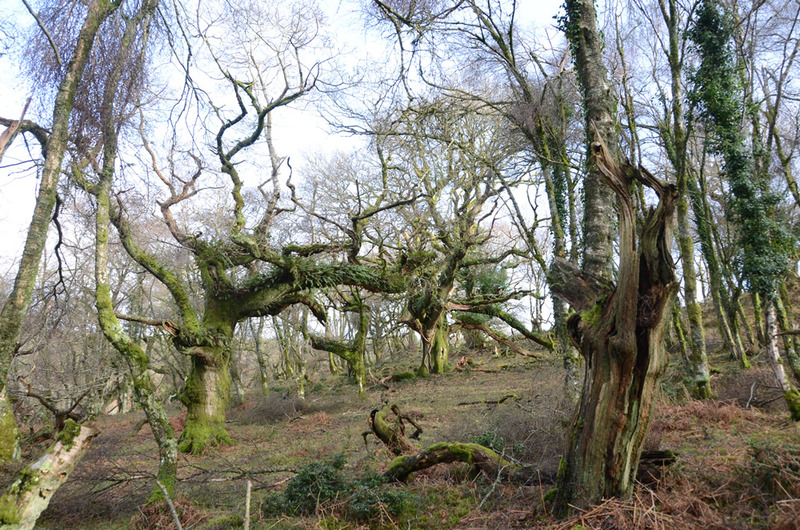 I agree that this image is most probably not of a lapsed pollard but assure you that Horner wood certainly does have some stunning lapsed oak pollards, some of which are in desperate need of reduction as they suffered partial collapse due to snow buildup a few winters ago. I can send you images of these trees if you’re interested. Thanks Brian, good to hear from you again! Yes please send some pics so I can see myself. On my visits I did not find them but the site is quite big. Hi Blaze I used to be the National Trust’s Ancient Tree Adviser and I have the records for the ancient and veteran trees at Horner Wood, with their coordinates. If you email me at brian@muelaner.com I will send you a copy of the records. Normally I would just advise you to go to the Woodland Trust’s Ancient Tree Hunt website, which has all of the records, but unfortunately it is down at the moment while it is being updated.